Someone alert MIT’s recruitment office: Thomas Alva Edison was a fan. 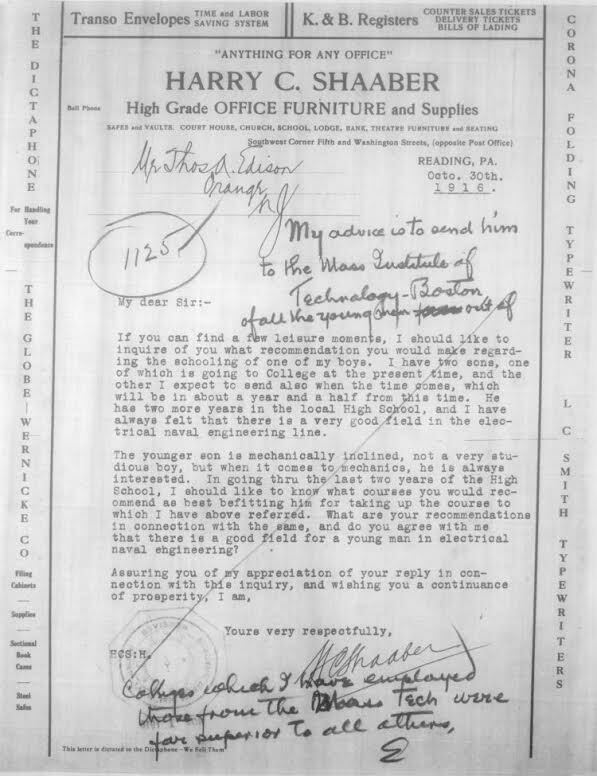 Source: “Letter from Harry C Shaaber to Thomas Alva Edison, October 30th, 1916,” Edison Papers Digital Edition, accessed July 20, 2018, http://edison.rutgers.edu/digital/document/E1632AD./a>. The ever-vigilant Lewis Brett Smiler sent it to me.